American Microsystems, Inc. (AMI) is a custom microchip fabricator located in Pocatello, Idaho that produces many of its chips for the control systems of aircraft, like the new Boeing 777. Like other chip manufacturers, AMI was keenly aware of the importance of protecting its sensitive fabrication processes since downtime results in loss of production, and loss of revenue. Larry Fisher, P.E., AMI’s Plant Engineer responsible for overall power quality, was convinced that a Hybrid Rotary UPS was the way to go because of its historically proven technology and ruggedness. All that was left was choosing the UPS that best suited AMI’s needs and budget. 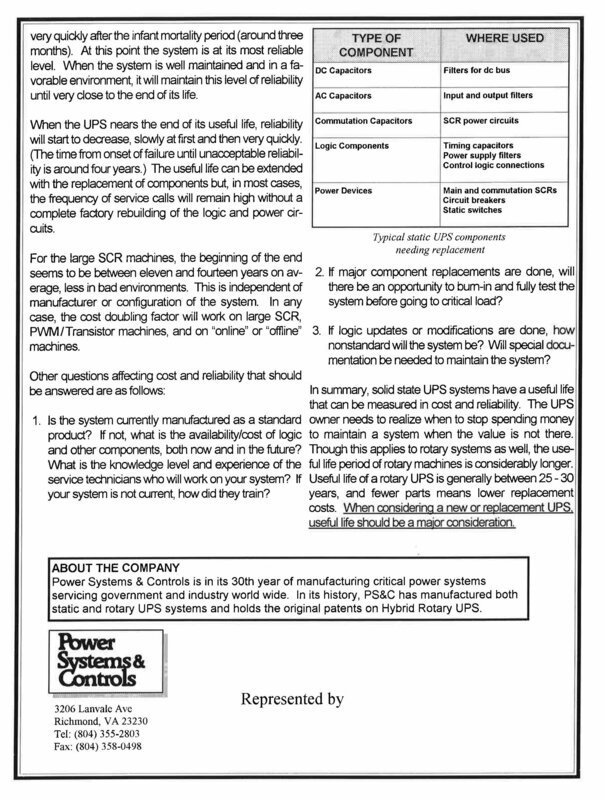 PS&C has been building the most reliable Rotary UPS systems for over 30 years. Furthermore, we have experience in the fabrication market with UPS systems already online at Intel, Texas Instruments, American Micro Devices, Hitachi, and Motorola Worldwide. 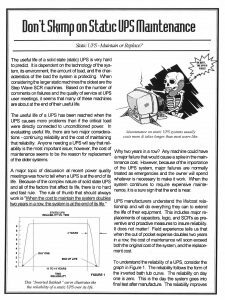 Since we’d visited with Mr. Fisher on several occasions, he was already familiar with our UPS technology, Field Service, and life cycle cost scenario. He was also aware of our continuing efforts to identify and eliminate single point failure components. After making a full product line presentation to Mr. Fisher and his staff, PS&C offered AMI a new Series XC 1000kVA UPS. 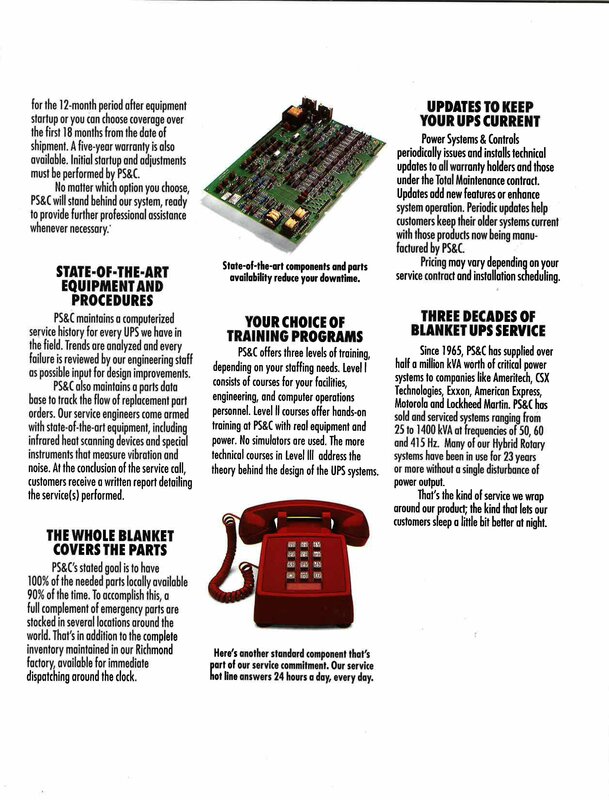 The equipment was shipped to AMI for a July 1995 installation and start-up. Barely two months later, during the weekend of September 9-10, the Pocatello, Idaho area experienced a power outage. AMI, with its PS&C UPS, rode through the outage without so much as a hiccup! The system remained online throughout the outage and protected the sensitive fab manufacturing systems. Power Systems & Controls has just added the Series SC Synchronous Condenser to our standard product line. The Series SC is a synchronous motor used to correct Power Factor, and will be offered in both low and medium voltages, in ratings from 100 kVAR to 8,000 kVAR. The introduction of low cost variable frequency drives in manufacturing processes has greatly complicated the application of capacitors. Variable frequency drives draw current at the harmonics of the line frequency. These higher frequency currents can cause major problems with capacitor installations. Capacitors react differently as frequency changes. To compensate for these new problems, drive users are forced to add harmonic filters, series reactors, and other isolation devices to protect their process and power factor correction systems. Synchronous Condensers avoid frequency related problems associated with harmonic currents. An added benefit is the continuous regulation of power factor without bank switching as seen in capacitor banks. The synchronous condenser also acts to stabilize voltage and to improve voltage quality on installed electrical systems. The Series SC is now available to our commercial customers with special conditions that warrant the use of rotary technology in finding a long term solution to their Power Factor Correction problems. The use of synchronous machines to correct power factor was very common until the late 1940’s. 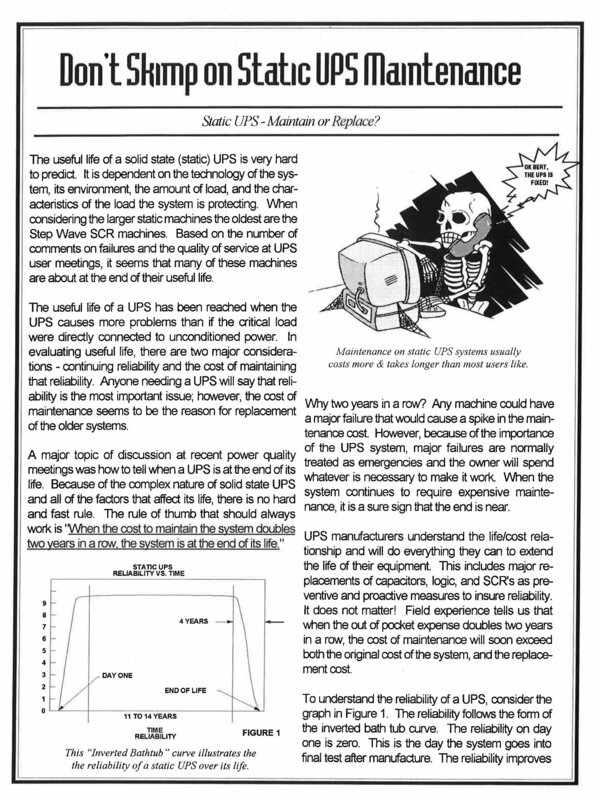 It was then that capacitors assumed the majority of power factor correction applications. Today the need for high quality electrical power is again making synchronous machines attractive and needed. Reliability, simplicity, and lack of interaction with other components and circuits within the user’s facility are the features that make synchronous condensers today’s smart choice. Power Systems & Controls has a state of the art production and test facility located in Richmond, VA allowing for easy access to Washington, DC and the east coast. 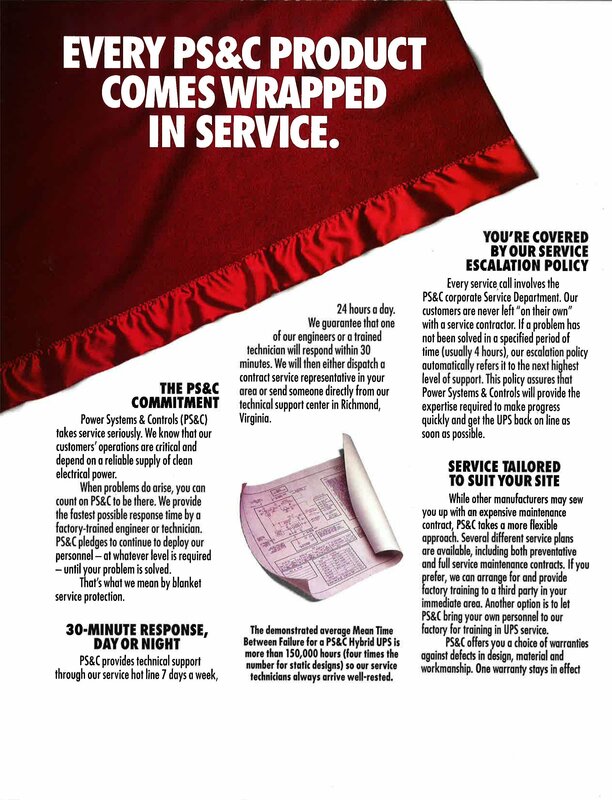 PS&C has the unique ability to support both static (solid-state) and rotary (motor generator) UPS, frequency converter, and power conditioning requirements as we are one of the few companies in the world that manufactures both types of technology. 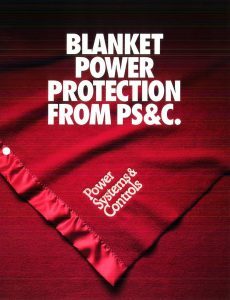 Power Systems & Controls is an employee owned company and has a long history of successfully supporting mission critical applications across the world. Piedmont Natural Gas is an energy and service company headquartered in Charlotte, North Carolina. Their primary business is the transportation and sale of natural gas and propane to users in North Carolina, South Carolina, and Tennessee. 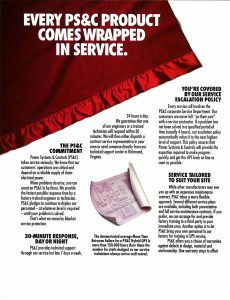 Piedmont Natural Gas has been a PS&C customer since 1980 when it bought its first PS&C UPS systems. In 1980, the selected our Hybrid Rotary UPS to handle their continuing growth. Piedmont Natural Gas has more than 500,000 commercial and residential customers. The majority of their customers rely on gas for heating, cooking, and manufacturing processes. It is therefore essential that all systems operate around-the-clock. The PS&C Rotary UPS system, which ensures the critical computer systems at Piedmont Natural Gas remains on-line despite the frequent occurrence of electrical transients, violent thunderstorms, and lightning strikes. According to Mr. Dave Bannish the Building Services Coordinator, “The PS&C RUPS is the best investment that Piedmont Natural Gas has made in some time. The RUPS has saved the company from costly downtime over 60 times since it was put in service.” Piedmont Natural Gas is so happy with the proven power protection and Field Service provided by PS&C that they have recently bought their 3rd generation PS&C UPS system. A 30kVA Series MC will be installed in their new business office building, which is currently under construction. Louisiana State University is the flagship university for the state of Louisiana. It is a public university that is widely known for the strength in athletics. The university was founded in 1853 in Baton Rouge, Louisiana. Louisiana State University has awarded a contract to Power Systems & Controls to supply rotary uninterruptible power supply systems to protect their critical research laboratories. 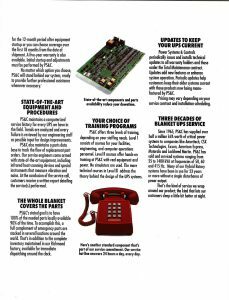 They selected the PS&C rotary UPS because they required electrical isolation and appreciated our ability to support the equipment with our field service division. 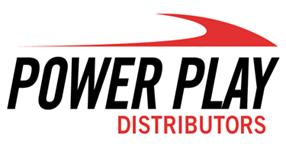 Power Play, a manufacturer’s representative for Power Systems & Controls located in Houston, TX was founded in 1984. Their territory includes the lower region of Texas from Louisiana to Mexico. Prior to becoming a rep for PS&C, Power Play spent most of its energy selling three phase Static UPS systems and generators for the larger data centers in the Houston area. Ben Silva is the man behind Power Play and has been very active in regards to our new Series SC synchronous condenser. When first told of the new Series SC, Mr. Silva immediately recognized the potential as an emerging market. Since then, Ben has been in constant motion with his efforts to visit all the companies in need of Power Factor Correction to lower their utility bills. He has been quite successful in getting referrals from potential customers because the PS&C Series SC has been so well received. Power Systems & Controls has a state of the art production and test facility located in Richmond, VA allowing for easy access to Washington, DC and the east coast. 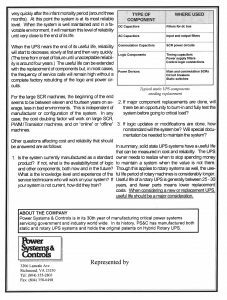 PS&C has the unique ability to support both static (solid-state) and rotary (motor generator) UPS, frequency converter, and power conditioning requirements as we are one of the few companies in the world that manufactures both types of technology. Power Systems & Controls is an employee owned company and has a long history of successfully supporting mission critical applications across the world. PS&C – The Power Is On!